It's a simple nine-patch alternating with solid blocks on which I've traced part of a stencil design for quilting. The blue and white prints (both flannel) were given to me by someone who knows I can find a home for wayward fabric. :-) I bought the pink to match a wee bit of pink that shows up in the white print. If you look closely at the top of the photo, you can see the whimsical flannel print that makes up the back. 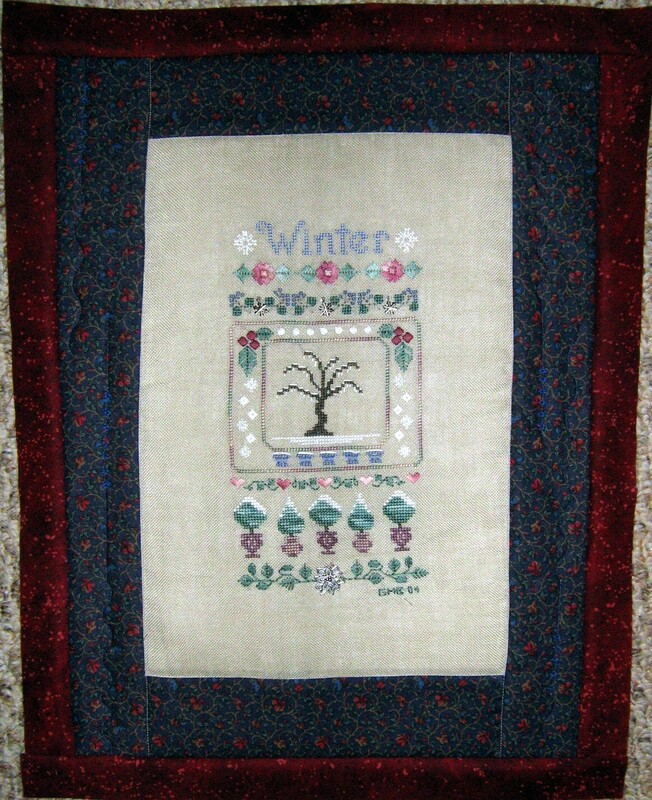 There are no sashes or borders on this little quilt; it will be hung on the 'Charity Tree' at church and given away to some sweet little one in the Lacombe area. 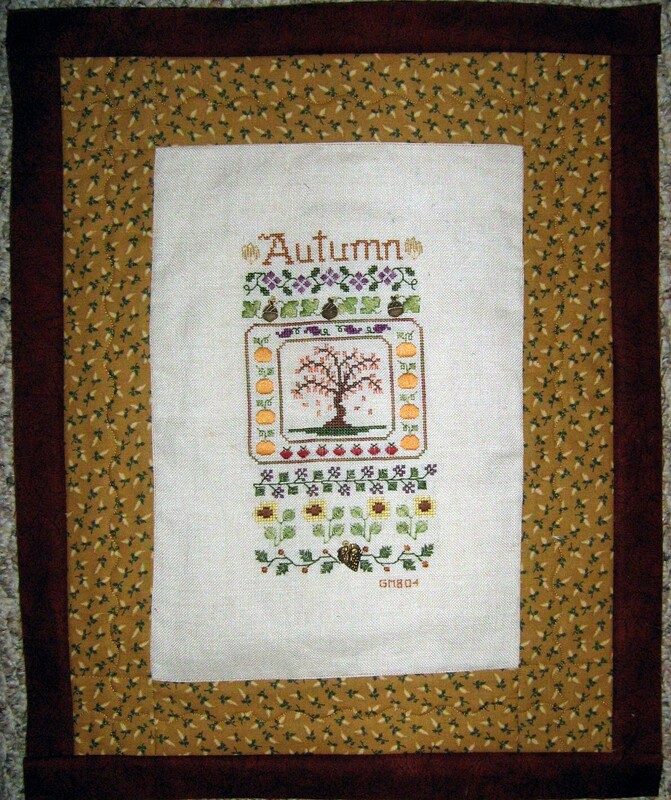 Now that these projects are nearing completion, I have one more lap quilt to do -- the flannel star quilt -- "Sunrise, Sunset" that I worked on last summer -- also for the Charity Tree. I've pieced the back and simply have to take some time when I have a good-sized space in which to lay it out to prep for quilting. 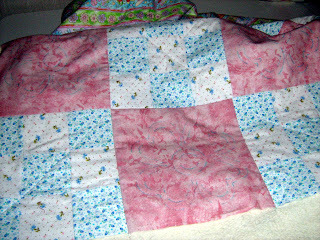 I did the baby quilt with spray baste for the first time -- on the recommendation of Ann Petersen in her "Quilting Big Quilts on a Small Machine" class on Craftsy.com -- and I must say, it works wonderfully!! 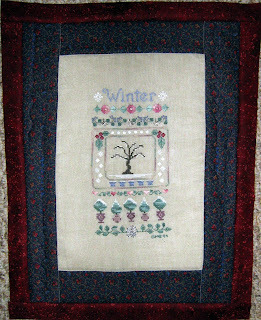 I've long used it for small pieces (art sized) but not on bed quilts. 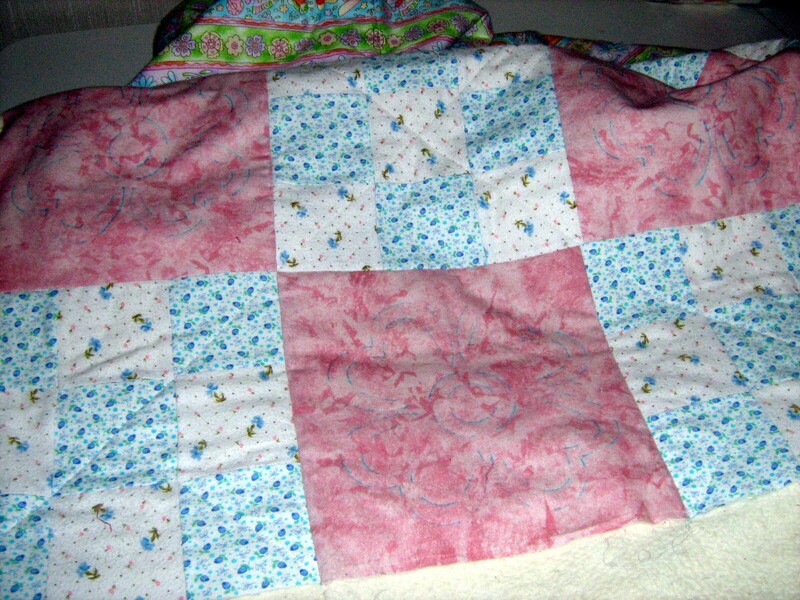 With Ann's assurance it washes out, and knowing these quilts will be washed after quilting (if nothing else, to get the quilt design markings -- in water-soluble pen -- out! ), I'm going to do this more often, as appropriate. 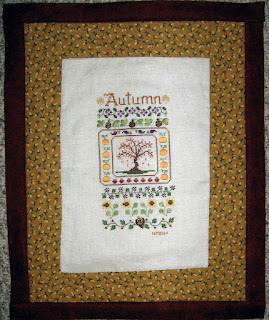 Back to the studio...but before I go, I'm linking this to WIP Wednesday at The Needle and Thread Network! ah, yes, I should pull a few things from the bottom of the pile that have been there for a few years... Embroidery always improves the look of a wall or a fence or a door! Great little pieces, and thanks for the endorsement of spray-basting. I'd like to try it but am worried about the fumes (no way can I work outside).